Mount Pleasant is a large suburban town in Charleston County, South Carolina, United States. 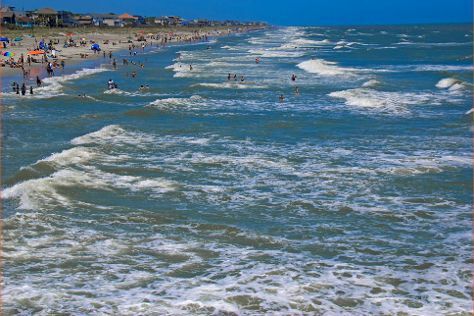 Attractions like Folly Beach Public Beach and The Center for Birds of Prey make great kid-friendly stops. Explore the numerous day-trip ideas around Mount Pleasant: Charleston Tea Plantation (in Wadmalaw Island), Beaufort (Beaufort National Cemetery & Hunting Island State Park) and Angel Oak Tree (in Johns Island). Next up on the itinerary: examine the collection at Patriots Point, look for gifts at Southern Season, immerse yourself in nature at Isle of Palms County Park, and browse for treasures at Six Mile Antique Mall. To see more things to do, where to stay, traveler tips, and more tourist information, refer to the Mount Pleasant travel route planning app . In November, daytime highs in Mount Pleasant are 68°F, while nighttime lows are 47°F. Wrap up your sightseeing on the 25th (Sun) early enough to travel back home.